This is a Prey locations guide. Here you will find details on the TranStar Testing Facility, AKA the Neuromod Division, including items, weapons, and secrets. 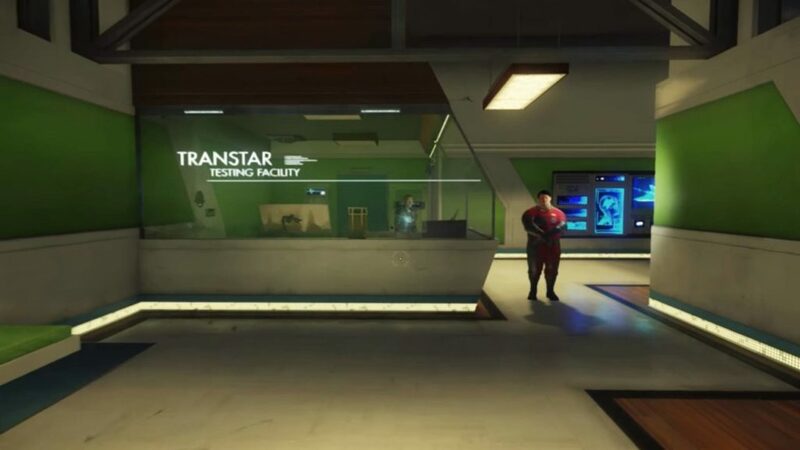 The TranStar Testing Facility, at first, was seemingly situated in a gigantic TranStar skyscraper. Morgan heads there by chopper from their luxurious residential tower. However, it turns out that this testing facility was not on Earth at all, but in Talos-1, a massive space station situated in space. The TranStar scientists and Alex Yu himself fed the illusion to an amnesiac Morgan for their nefarious purposes. Due to the typhon outbreak on Talos-1, the testing facility was abandoned or overrun, resulting in massive casualties. Contains a safe and a hidden suitcase with lots of good loot inside. The code is 5150. At least two mimics are hiding around here. Sets up the first mimic encounter. You can find lots of flavor texts here. The key is in Sylvain Bellamy’s office, but the game prompts you to explore other options. Flavor text here as well as the keycard to the door. Sets up reveal of the GLOO cannon. Found on the roof of the security building near the foyer. A line of GLOO can be found leading to the roof. Contains a weapon upgrade kit. 4 mimics lurk in this area. By the doorway near the DEMETRI BROWSER computer at the start of the facility. Found in the Foyer. Very obvious where it can be found–a Neuromod poster can be seen plastered on the wall, and January will point it out. Floor near a fallen lamp upon exciting the simulation labs office. By the desk in front of Test Chamber D.
Another is posing as a mug on the floor next to the Reployer. Table near Sylvain Bellamy’s office. The looming figure you can see once you leave the simulation labs office. The hallway where you find the Gloo Cannon. obviously like your web site but you need to test the spelling on quite a few of your posts. A number of them are rife with spelling problems and I to find it very bothersome to tell the truth then again I’ll certainly come again again.